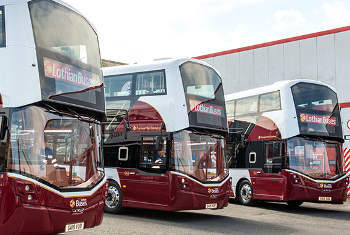 The Scottish Government has announced a further £3m funding towards the purchase of low carbon emission buses. Bus operators, local authorities and regional transport partnerships across Scotland can apply for the cash from the Scottish Green Bus Fund, now in its seventh year. Transport minister Humza Yousaf said: 'I am pleased to announce funding for this latest round of the Green Bus Fund, which has already seen the introduction of more than 300 low emission buses to the Scottish fleet and I look forward to seeing even more on our roads. Funding for the latest tranche of the Green Bus Fund has been made available from this year’s Future Transport Fund. The deadline for applications is 30 June. Transport Scotland said the Scottish Government has already invested £14.8m over the previous six rounds of the fund.